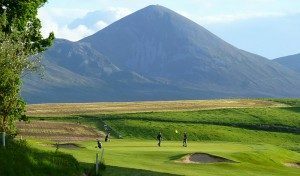 Westport Golf Club, one of Ireland’s finest Championship Golf Courses, is just 5 minutes from the town centre. For those looking for something a bit more fun and child friendly,why not try their new 9-hole Pitch and Putt course. Swing into action and enjoy the beautiful scenic backdrop of the rugged west!